THANK YOU SO MUCH LORRAINE VERSINI FOR NOMINATING ME! 1) Link and thank the person who nominated you. 4) Ask the 11 bloggers 11 questions, and let them know you nominated them! Here are Lorraine’s questions, along with my answers! If I had to describe myself in one word, I would say “different” and if it’s one sentence I would totally say “I am different”. I have been called different for no reasons since I was a baby when I was totally looking like everybody else! But today I am proud to say I am different because I want to be unique and everybody is unique in this world! To be honest, there isn’t any worst thing I have eaten. I just know how to cook desserts apart from that I don’t really know how to cook, maybe in the future my cooking will be the worst thing I have ever eaten! I love watching movies and I have loved so many movies this year, it’s a difficult question for me! Recently I have watched Godzilla and Into the Storm and I definitely loved them. I loved Non-Stop too! Still I have so many movies that I haven’t watched yet! 2. I want to achieve all my ambitions and dreams. I have so many, it can last for hours if I write everything so let’s go to the third one! 3. I want to help people, I want to help people who really need help, I want to sponsor many children as possible and I want to adopt a child. The naughtiest thing I have done as a kid… I have been pretty much a good kid (literally! I am not kidding!) I was 5 years old and my mom used to pick me up from school so one day the school finished few minutes earlier than usual so I went home all alone. I was waiting outside for my mom to come up, I thought she would come home after she didn’t see me at school. After half an hour, she didn’t come yet so I decided to go to school to check if she was there and then she was in school with all my friends and teachers searching for me in the entire building! She didn’t scold me or anything afterwards! Still I don’t know if it’s a naughtiest thing I have done as a kid! When I’m at home, I always carry my iPod with me literally everywhere I go! When I’m outside, I literally carry my bag with me because that contains everything I need and that are important to me! 7) Could you live without the internet? In what ways would your life be different, then? I totally lived without the internet for most part of my life. When I was in middle school or high school, everyone was addicted to their phones or laptops and I was probably the only one who didn’t really care about that. I totally spent my time studying or playing video games. I would say I was addicted to video games but now I just play candy crush when I have time! At the same time, I am not the type of person to say that I can’t live without the Internet. If I am at a place that doesn’t have any Wi-Fi or internet connection, I would totally be fine and catch up or do my work after I reach home! That’s definitely a sad questions for me, my parents had plenty of pictures of themselves and mine, my mom always used to take pictures of me as a hobby. When I was 9 years old, my parents sent all the original pictures to my grandmother (my father’s mother) and she completely lost all the pictures! It wasn’t one or two but thousands of pictures! I am not kidding when I said thousands, it was literally thousands of pictures! Then we only used to take pictures for special occasions, after I have moved here I loved looking back at all my pictures, it brought me all the memories so now taking pictures became my hobby! So for me the best photo is always all the photos that my mom has taken of me, even if I barely remember these pictures and won’t get the opportunity to see them again. For me that will always be the best photos ever! One thing that I am most afraid is snakes, I can’t stand them! I have only seen it once and I didn’t see it properly (thank god!) when I went on holidays but I can’t even look at them. Even if it’s displayed on TV or anywhere, I will just close my eyes until that scene goes away. 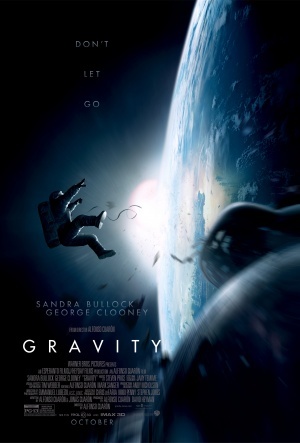 If I’m an actress and the get the role of my dreams, I would be Ryan Stone (Sandra Bullock) from the movie Gravity. I would love to go to the space and experience the magic of galaxy! In addition, I love thriller and action movies and I love this movie too so I would love to be in her role! 11) What’s the best place you’ve ever visited, or the best event you’ve ever been to? I don’t have a best place, I have visited so many countries but I won’t define any of them the best place I have ever visited. I have a best event which was a student award, I won an award for the best student for outstanding achievement after I moved here. 1) What are you currently daydreaming about? 2) What does makeup mean to you? 3) Have you ever been out of country? If so how many times? 4) What’s your favourite song at the moment? 5) Do you speak any other language? 6) What’s one thing that most people don’t know about you? 7) What’s one food you can’t live without? 8) What is your favourite book? 9) What are three random facts about you? 10) Do you have any tattoos? 11) What’s your favourite movie? I hope you have enjoyed this post! Have a nice day and see you soon on my next post! Congrats on your award for the best student, it’s definitely a great achievement! And thanks for taking the quiz. Loved your replies, and I’m SO sorry about all your photos being lost. My dad took loads when my elder brother and I were kids, but didn’t when my two younger brothers were growing up, and it’s really sad in my opinion. There’s just something about photos being able to bring up memories so easily and reminding you of who you were then. Glad to hear it 🙂 I SO have to watch Taken, all I know of it is that phone scene! I think I’m going to be going on a Liam Neeson spree for the next few movies. Watched The Grey a couple of nights ago, and enjoyed it, despite having a couple of quibbles with it. Absolutely loved the sceneries, but then, as long as I’m nice and warm at home, give me snow any time lol! That said I found the message really powerful 🙂 Just wish L.N. spoke louder lol! His low voice mixed with his accent were really hard work for me Anyway, if you have more movie recommendations in the future, do send them my way 🙂 Thanks a bunch and have a good night! Next article Back to school- Smokey eye!